I love the new Truffle Thrills pasta sauces – delicious and super easy! Just brush on breads, toss with pasta or serve with meats – the thrill of truffles and artichoke or tomato in minutes – and good enough for guests! Here is the first dish I made with it – a combination of bruschetta and pasta with roast (or sauteed) pork and a tasty green salad. Pair this dish with a snappy or hearty white, or light red wine. Cheers! Toast bread lightly in 375° oven to crisp. Meanwhile sauté pancetta in a 10 inch skillet – remove and reserve meat and pan drippings. Place a slice of pancetta on each slice of bread, topping with a spread of Urbani Truffle Thrills (Artichoke or tomato) and finally grated Parmigiano Reggiano to taste. Place under broiler to toast – reserve and return oven to 375°. 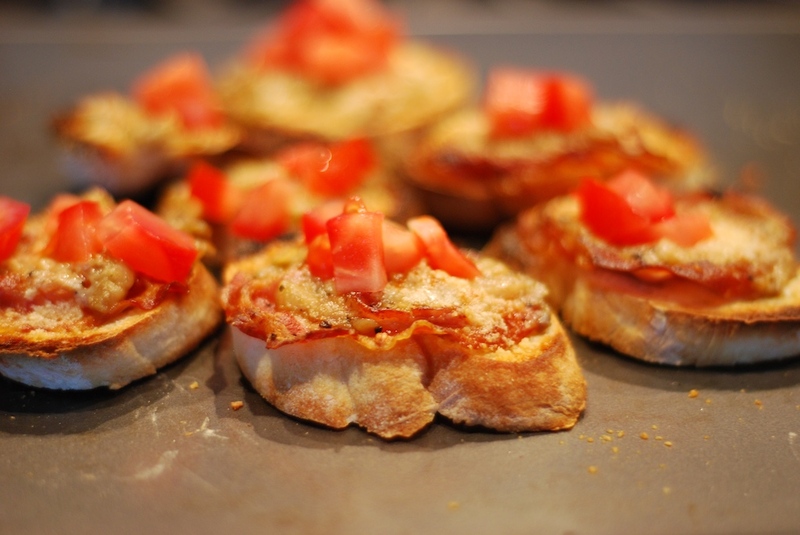 Crisp bruschetta with Manoucher bread, molinari pancetta, Urbani Artichoke Truffle Thrills Sauce, Parmigiano Reggiano and fresh tomato – molto bene. Wheres the wine? Brush tenderloin with olive oil, season with chile powder (if using) and Tuscan Grill Rub. Roast in 375° oven to 145-150° internal. Rest five minutes, slice and serve over pasta. Can also be done with pork chops in the oven or in the pan. 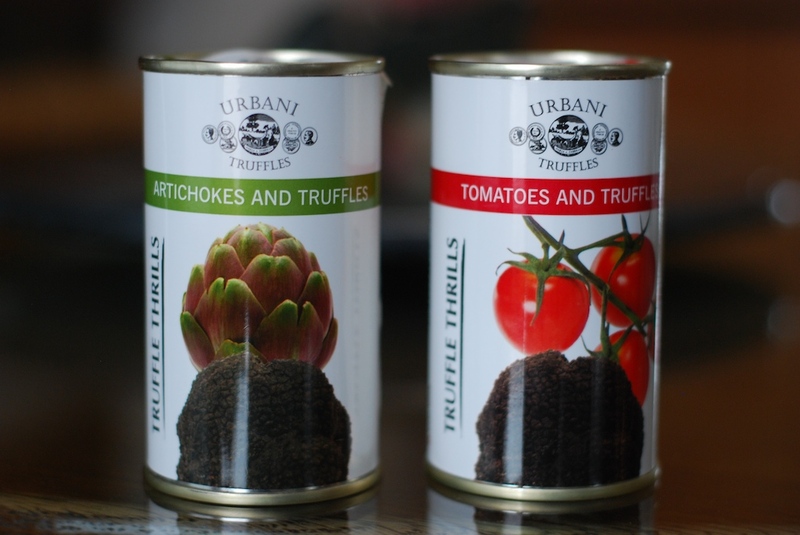 If you love truffles and quick meals, Urbani Truffle Thrills is for you!!! Boil pasta according to directions. In the same pan you cooked the pancetta, add oil (if needed), onion and a pinch of salt and pepper. Sauté onion until slightly tender, 5 mins. Add remaining Urbani Truffle sauce and heat through. Add cooked pasta and splashes of cooking water (1/4 cup / as needed), simmering to marry. Add tomatoes, adjust seasoning and serve with sliced tenderloin on top, bruschetta and salad on the side. About the author: Chef Mick (Michaelangelo) Rosacci is the Corporate Chef and co-owner of Tony’s Markets in the Denver Metro area. Mick also teaches cooking on Denver’s Channel 7 News and Dig In, a local gardening show on FOX. 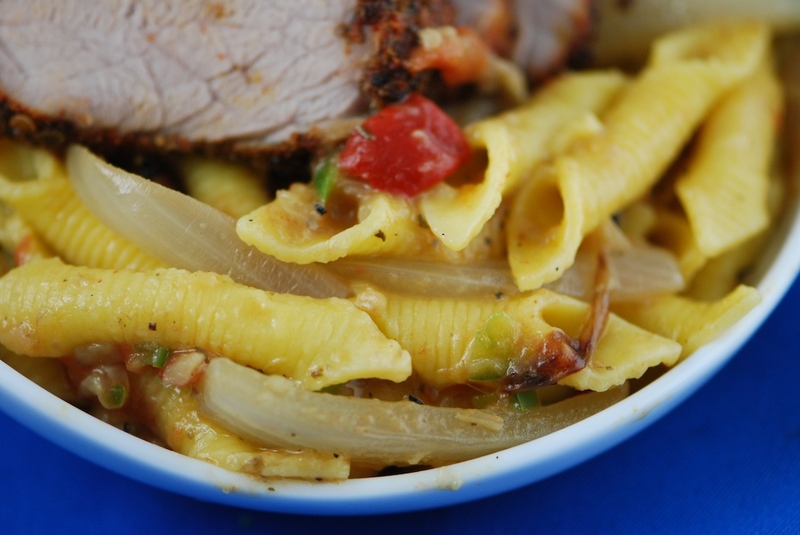 For more recipes, visit www.TonysMarket.com and/or subscribe to Tony’s Culinary Club by clicking here.